They are the plague of the galaxy, converting entire planets into volcanic rubble. They are closing on Earth. You are our last line of defence. It's time to Die Alien Scum! Be prepared for the all-powerful alien boss, the Fleet-Master, armed to the teeth and able to shield itself from your attacks! The all-time greatest arcade game classic updated! Eliminate waves of enemies as they descend towards you, spitting bolts of acidic venom, crackling lines of energy and balls of fire. Grab useful power-ups, including side-cannon ammo, extra shields and speed-boosts. 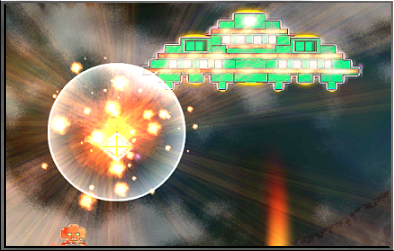 Watch for the mother-ship as she attempts to replenish the enemy ranks. Die Alien Scum! (the Game) is copyright ©2017 Alpha Strike Games Limited. All Rights Reserved. Click for the terrifying alternative. Google Play is a trademark of Google Inc. Microsoft, Windows and the Windows Store logo are trademarks of the Microsoft group of companies.